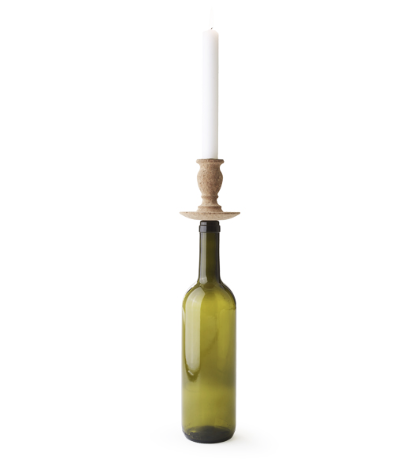 The stylish Bottle Light candlestick is a design of versatile designer Frederik Roijé. 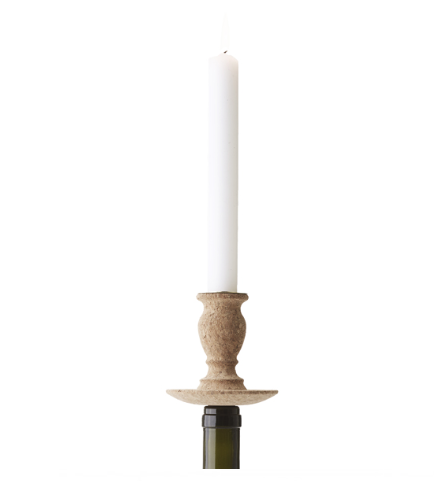 Candlestick made from corks that you can put on a bottle of your choice. Inspired by the collection of silver candlesticks from the Rijksmuseum. Now in contemporary design to enjoy at home. 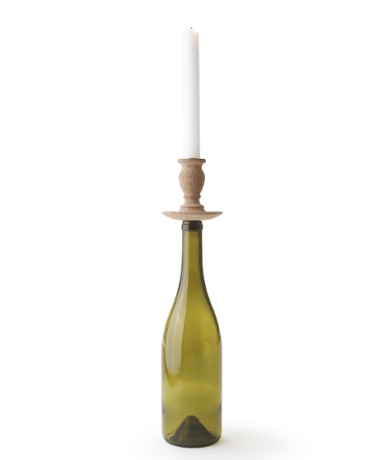 The Bottle Light candlestick is available in light brown and dark brown. Creates the perfect atmosphere and is an ideal gift. A candle holder which you place on an empty bottle. 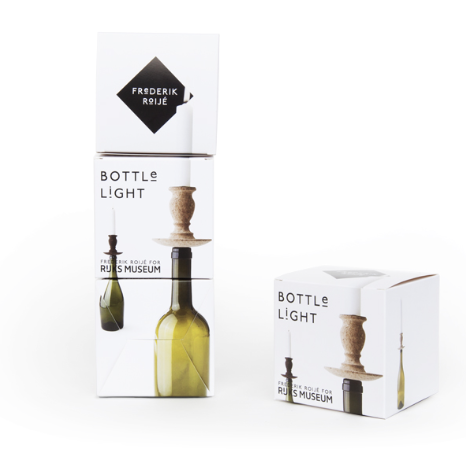 That is the concept of the stylish Bottle Light candlestick by designer Frederik Roijé. 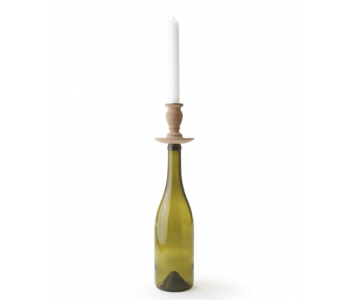 Made of cork, a warm colour and flexible structure, allowing you to mount the Bottle Light sturdily on a bottle. The Bottle Light feels perfectly at home on the table, for example, during a cosy dinner. Also looks great on a mantel or dresser. Keep it sleek by putting Bottle Lights on identical bottles, or create a playful effect by putting a few Bottle Lights on bottles of different shapes. The Bottle Light is available in two colours: light and dark brown. A metal tub with a wide brim protects the cork against the wax. A perfect gift for anyone who loves wine and a mood light. For the Bottle Light, Fredrik Roijé was inspired by the impressive collection of silver candlesticks from the Rijksmuseum. The oldest specimens date to around the year 1200. Frederick Roijé translated forms of silver to cork, which gives a contemporary look to the traditional design. Is the founder and namesake of the multifaceted international design studio (since 2003) who creates designs for the free market. The studio is known for its creativity and innovative designs for interior and exterior - Skylight to Storyline and Smokestack to Seat Shell. Known and characteristic is the Metro Bowl. Work of Frederick Roijé can be found in several museums in design galleries distributed for sale around the world.